Unlike most architectural designers, Song Kang does not create structures that mesh with their environment; rather, she creates new environments altogether. 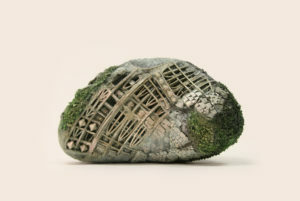 Kang’s dreamlike miniature sculptures draw inspiration from nature, and, in fact, often incorporate found and natural materials. 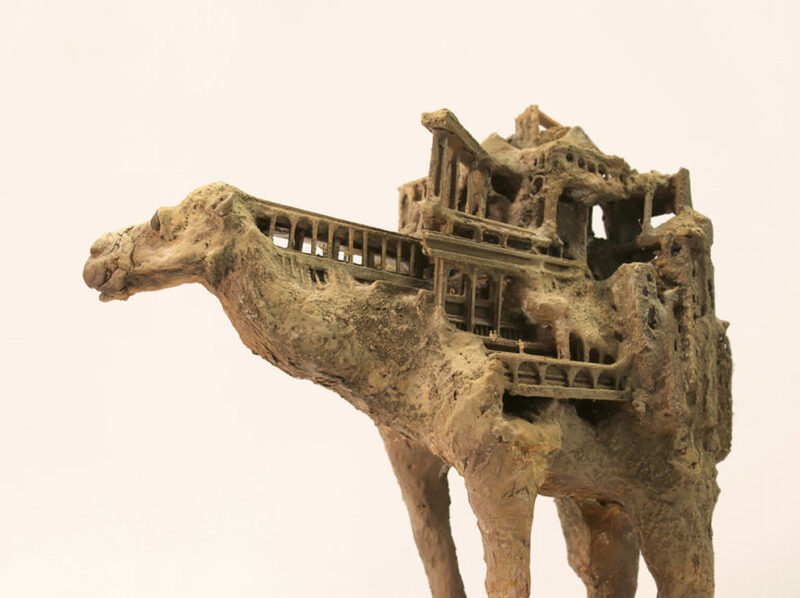 The Portland-based artist carves landscapes and houses into rocks and onto the backs of animal figurines, such as oxen and camels. 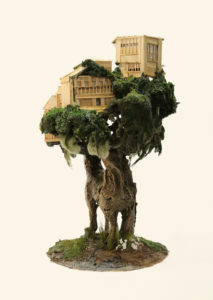 The sculptures blur the line between the natural and the human-made, following the contours of the original object, and jutting out here and there into buildings and tree branches. Defying the smooth surfaces and geometries of traditional architectural modules, Kang’s work is incredibly textural and multilayered, both in physicality and subject matter. “Vernacular,” the series of sculptures carved onto animals, seems to raise the question: How long can the natural world sustain manmade cycles of creation and destruction?